This venerable chat client upgrades with a retooled look and enough Preference control to satisfy even the most obsessive fans of customization. ICQ includes video, audio, and text chat modes in a strong push to make the app the most versatile chat client around. Audio chatting is smooth and painless, although that depends on user connection, of course. There's also a new Quick IM feature that allows you to send a text chat from within your contact list. The text window is only one line high, but perfectly sized if you're just shooting off a quick note. Call and chat with millions of people wordlwide. 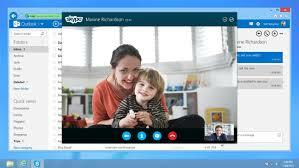 Skype is one of the most used programs on earth! Get social over the long-established, well-rounded chat and VoIP client Yahoo Messenger and you'll find drag-and-drop capabilities and contact importing from friends other IM, e-mail, and social-networking accounts who are also on Yahoo chat. You can also chat with people on windows live messenger.